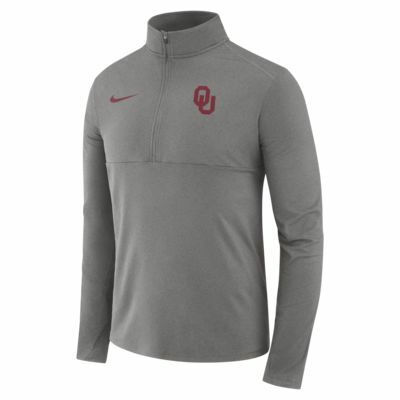 The Nike College Therma (Oklahoma) Top features school details to show your pride. Nike Therma fabric traps body heat to help keep you warm and comfortable on the sidelines or in the stands. Thumbholes help lock in heat. Nike Therma fabric locks in heat to help keep you warm and comfortable. Thumbholes help lock in heat and keep the sleeves in place. 1/2-zip design lets you adjust your coverage. Have your say. 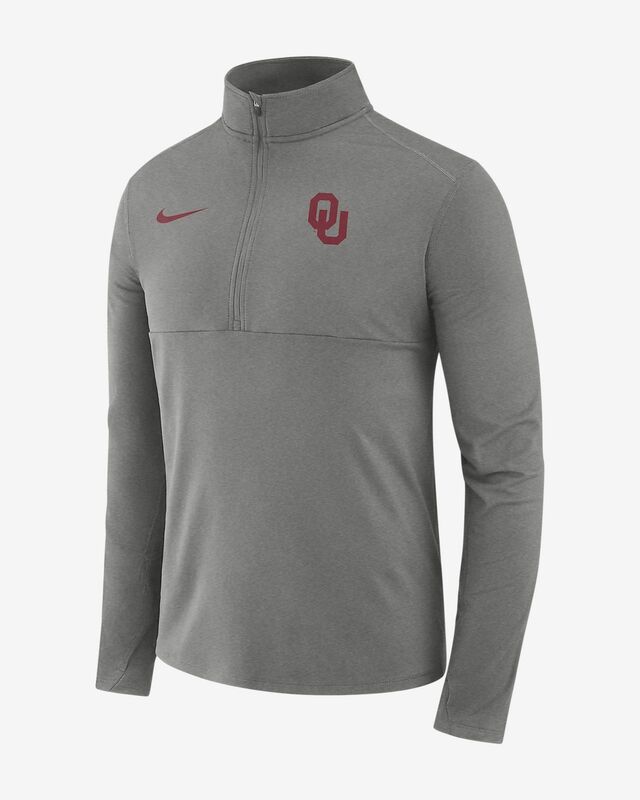 Be the first to review the Nike College Therma (Oklahoma).